This recipe came originally from Peg Tiffin. 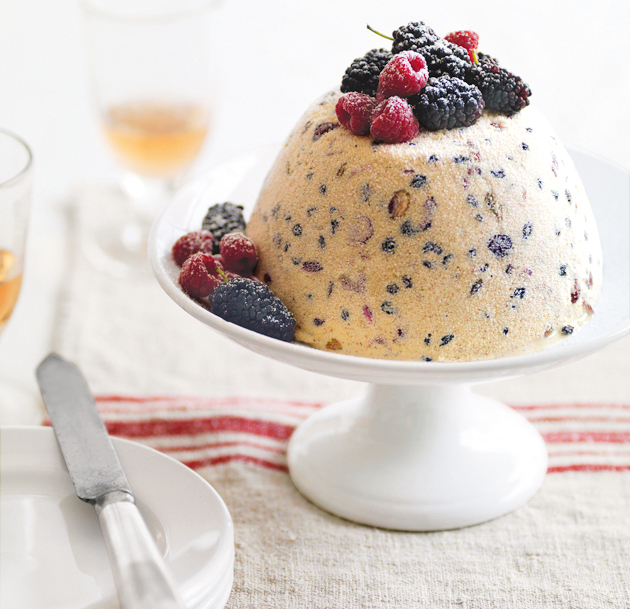 Despite the fact that it is frozen, this pudding is very rich and will fill you up just as much as a hot one! Soak fruit in a generous quantity of brandy overnight. Strain and retain liquid to add later to pudding. Heat milk to just below boiling point. Beat egg yolks with brown sugar until light and thick. Gradually stir in scalded milk. Return this mixture to the saucepan and stir over a very low heat or in the top of a double boiler until the custard coats the back of a spoon. Add cocoa and blend well. Allow to cool. Add spices, fruit and nuts to the custard mixture. Add the brandy in which the fruit soaked. Whip cream and fold into the mixture, then stir in the slightly melted ice cream.